Bender – Your partner in the application of the new international standard for electrical safety in hospitals Bender is acknowledged as the expert in the design and installation of power systems according to the international standard IEC 60364-7-710: 2002-11: Electrical installations of buildings – Requirements for special installations or locations – medical locations. Bender systems are specially developed for electrical safety management in health care facilities. They provide early detection of critical errors or insulation deteriorations in electrical systems and of medical electrical equipment. Insulation faults must not lead to a power failure. 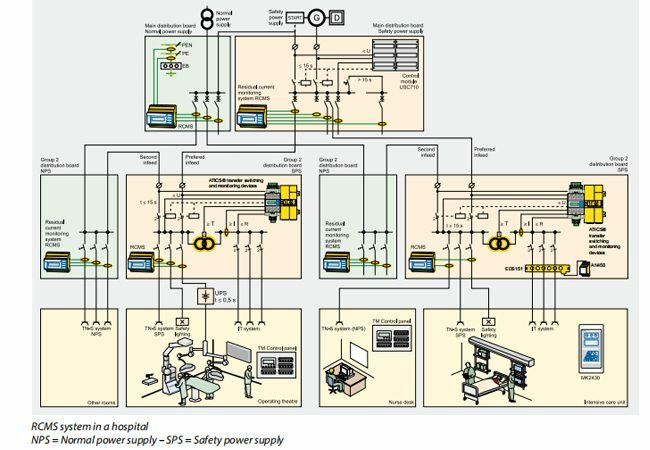 Fault currents in an electrical system must be reduced to an uncritical level. 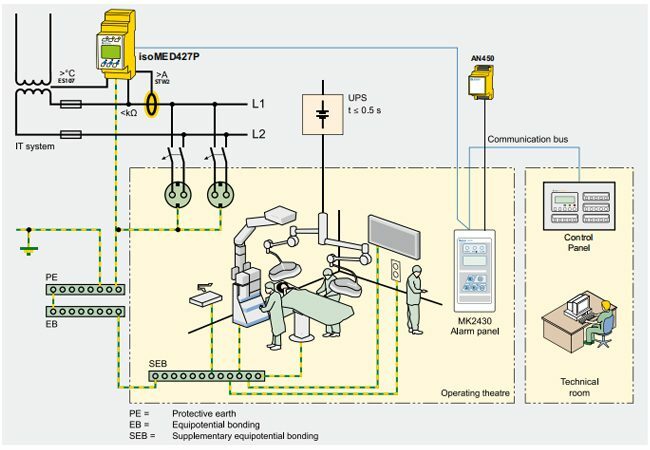 Permanent monitoring of the power supply for medical locations must be guaranteed. Fault repairs must be able to be planned in advance to suit patient needs and maintenance purposes. The provision of clear unambiguous labelling of power outlets and distribution switchboards with readily available system documentation. Optimal electrical safety Whoever takes responsibility for the building or running of a hospital or any other healthcare facility has to ensure a maximum of electrical safety. Bender is a reliable partner worldwide developing the appropriate system solution in accordance with the international standard IEC 60364- 7-710: 2002-11 HD 60364-7-710.